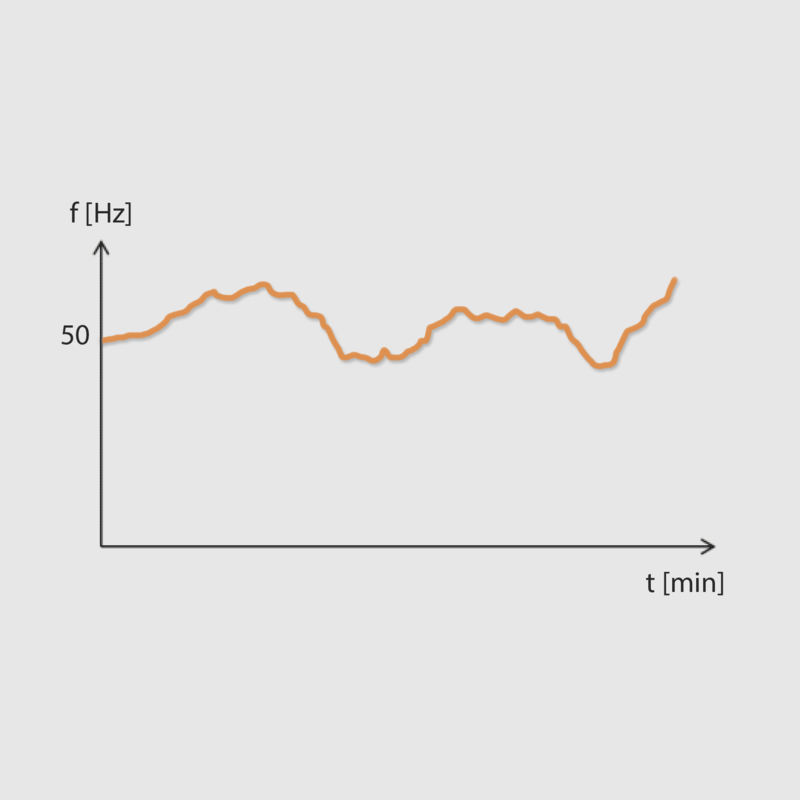 HARMONICS UP TO 150 kHz: Measure and analyze harmonics for voltage and current and THD with frequencies up to 150 kHz. All measurements are implemented according to IEC-61000-4-7 standards. THD CALCULATION: The calculation of THD (overall harmonic content) for voltage and current up to 3000th order. INTERHARMONICS & HIGHER FREQUENCIES: Measure and analyze interharmonics and higher frequencies. The higher frequency parts can be grouped in 200 Hz bands up to 150 kHz. 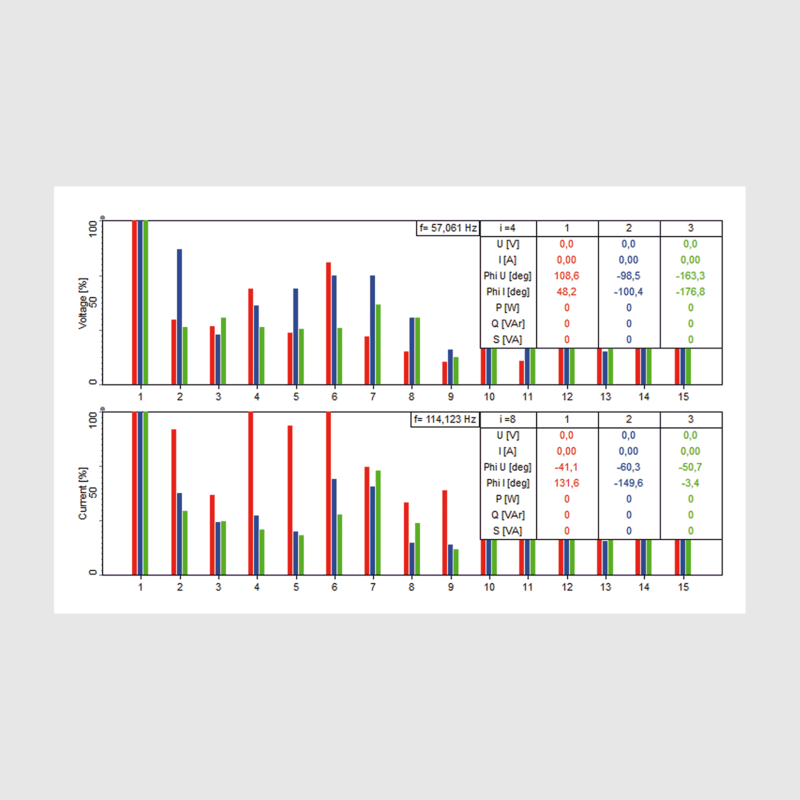 FLICKER, FLICKER EMISSIONS & RVCs: Automatic flicker and flicker emission parameters calculation according to IEC-61400-4-15 and IEC-61400-21 standard. GREAT REAL-TIME VISUALS: Fast and customizable visual displays are available for FFT, Harmonic FFT, Waterfall FFT with real-time visual feedback. HIGH-SPEED RAW DATA STORING: Hardware and software provide a powerful storing engine with continuous stream rate of more than 500 MB per second. We always store raw data for you no matter what. This gives you endless possibilities for offline data processing. The different power quality parameters describe the deviation of the voltage from its ideal sinusoidal waveform at a certain frequency. These deviations can lead to disturbances, outages or damages of electrical equipment connected to the grid. It is essential to permanently track these parameters: starting during the development phase (of the electrical equipment), until live operation: e.g. continuous monitoring of a couple of points in the electrical grid in order to prevent and correct quality disturbances. The Dewesoft solution can measure all of these parameters according to IEC 61000-4-30 Class A. In comparison to other power quality analyzers it’s possible to do more detailed analysis (e.g. raw data storing, behavior at faults, calculation of additional parameters etc.). 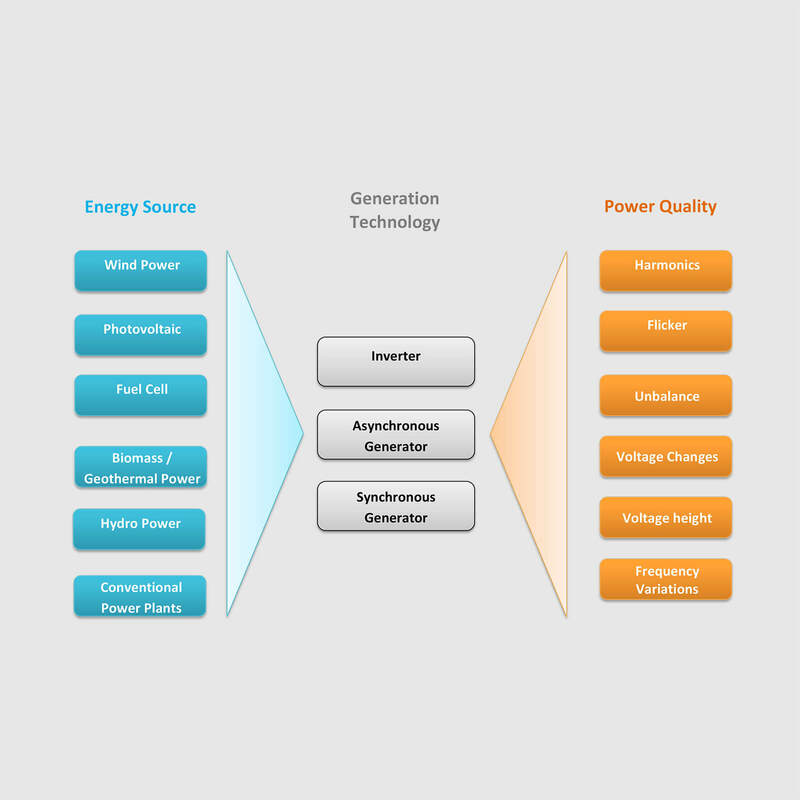 Our solution will fulfill all the requirements of power quality standards and can be used the wide range of applications. The following table shows the supported power quality standards. Harmonics are integer multiples of the fundamental frequency (e.g. 50 Hz) and cause a distortion in voltage and current of the original waveform. 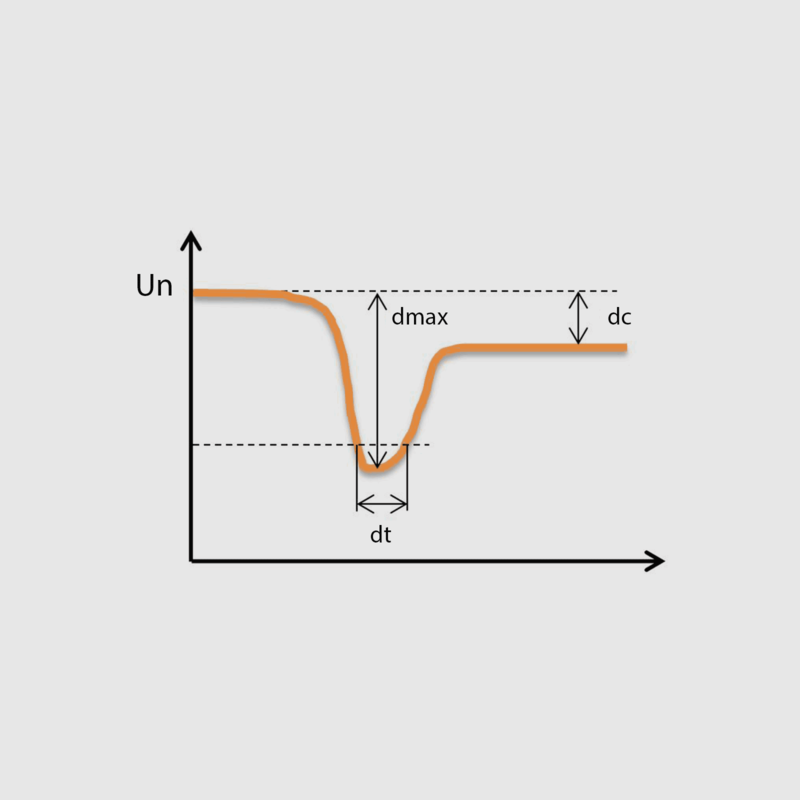 Harmonic voltages and currents caused by non-sinusoidal loads can affect operation and lifetime of electrical equipment and devices. Harmonic frequencies in motors and generators can lead to increased heating (iron & copper losses), can affect torque (pulsating or reduced torque), create mechanical oscillations and higher audible noise, can cause aging of shaft, insulation and mechanical parts and reduce the efficiency. Current harmonics in transformers increase copper and stray flux losses. Voltage harmonics increase iron losses. The losses are directly proportional to the frequency and, therefore, higher frequency harmonic components are more important than lower frequency components. Harmonics can also cause vibrations and higher noise. The effects of other electrical equipment and devices are very similar and are mainly reduced efficiency and lifetime, increased heating, malfunction or even unpredictable behavior. The Dewesoft solution can measure harmonics for voltage, current and additional active and reactive power up to the 3000th order. 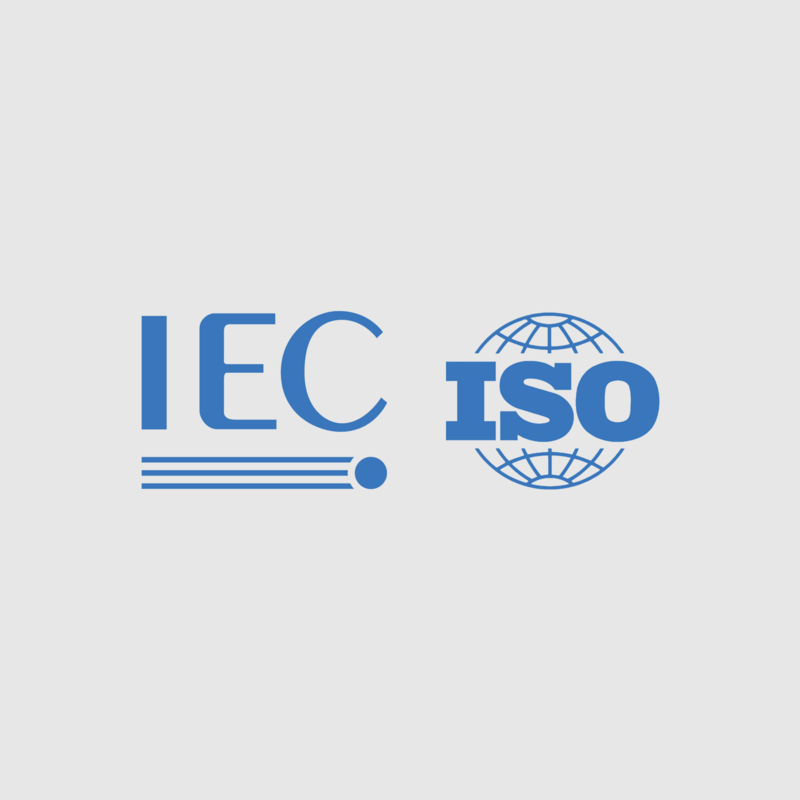 All calculations are implemented according to IEC 61000-4-7 standards. You can define the number of sidebands and half-bands for the harmonic order calculation. The higher frequency parts can be grouped in 200 Hz bands up to 150 kHz. 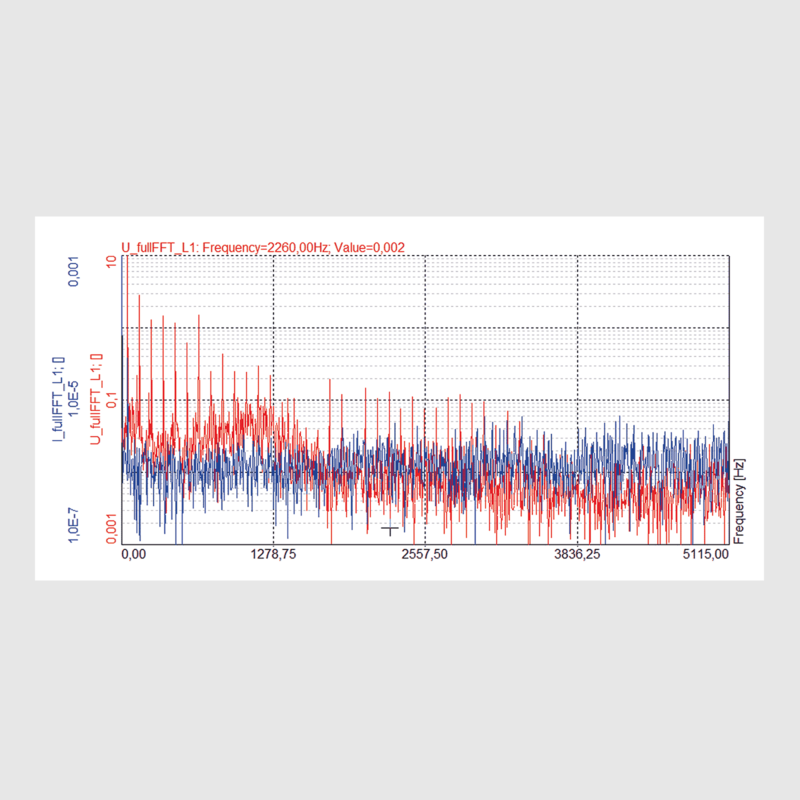 The calculation of THD (overall harmonic content) for voltage and current up to 3000th order and the interharmonics complete the analysis functionalities. 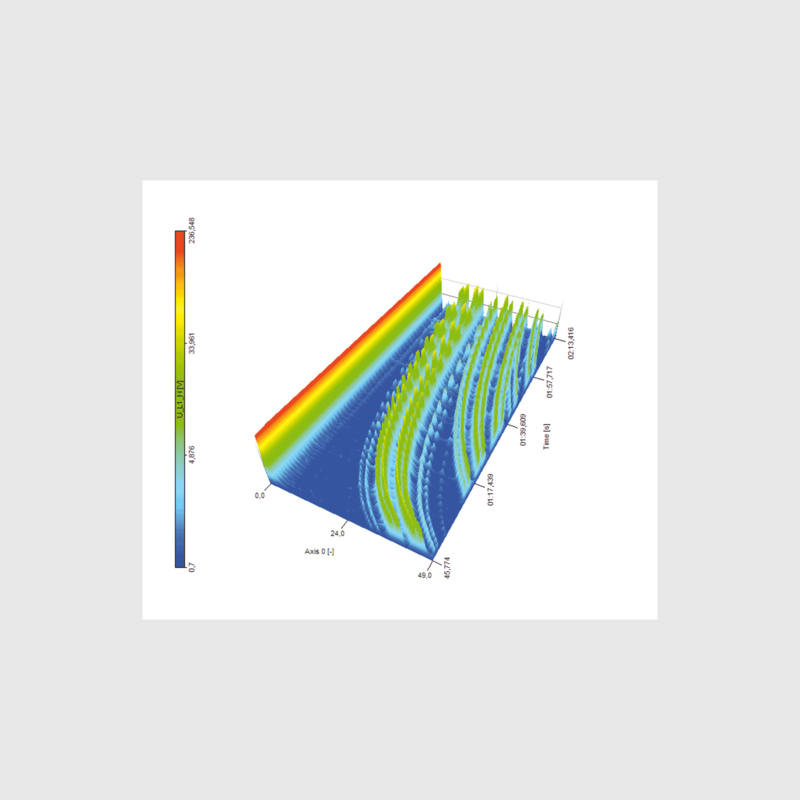 These powerful harmonic calculation functions offer analysis for all types of electrical equipment and devices. 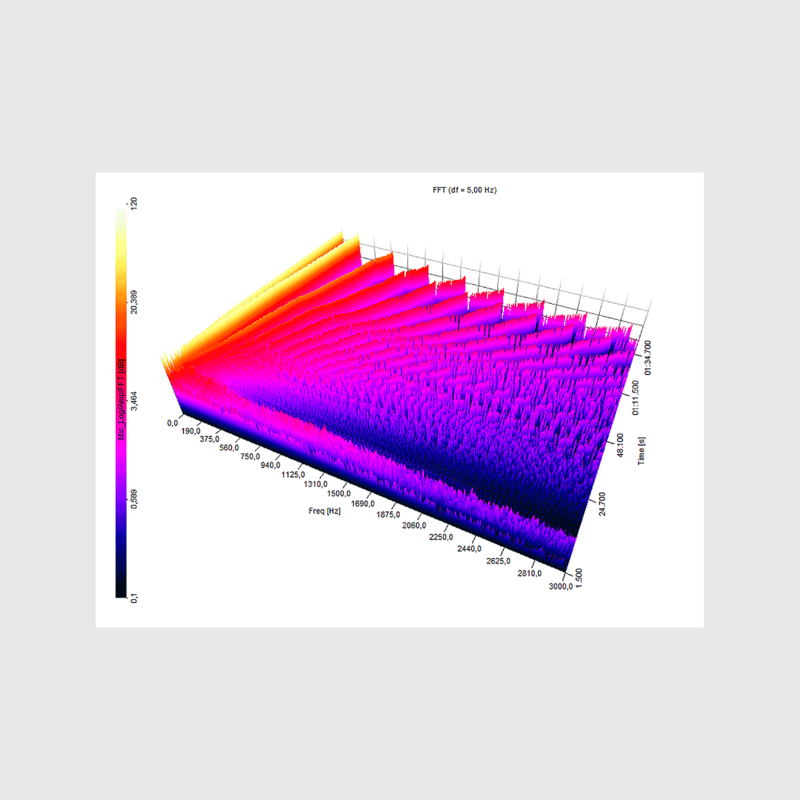 Beside the FFT and the harmonic FFT analysis, the solution also offers 2D and 3D FFT waterfall analysis. This type of data visualization is especially useful for analysis at variable drives. For example, at the run-up of an inverter, you will see very clearly how harmonic sidebands grow up. The picture on the left shows runup of an inverter of a traction drive from 0 to 150 Hz. The FFT waterfall visual display can be linear or logarithmic, 2D or 3D and sorted by harmonic order or frequency. Flicker is a term for the fluctuations (repeated variations) of voltage. Flashing light bulbs are indicators for a high flicker exposure. Flicker is especially present at grids with a low short-circuit resistance and is caused by the frequent connection and disconnection (e.g. heat pumps, rolling mills, etc.) of loads which affect the voltage. A high level of flicker is perceived as psychologically irritating and can be harmful to people. 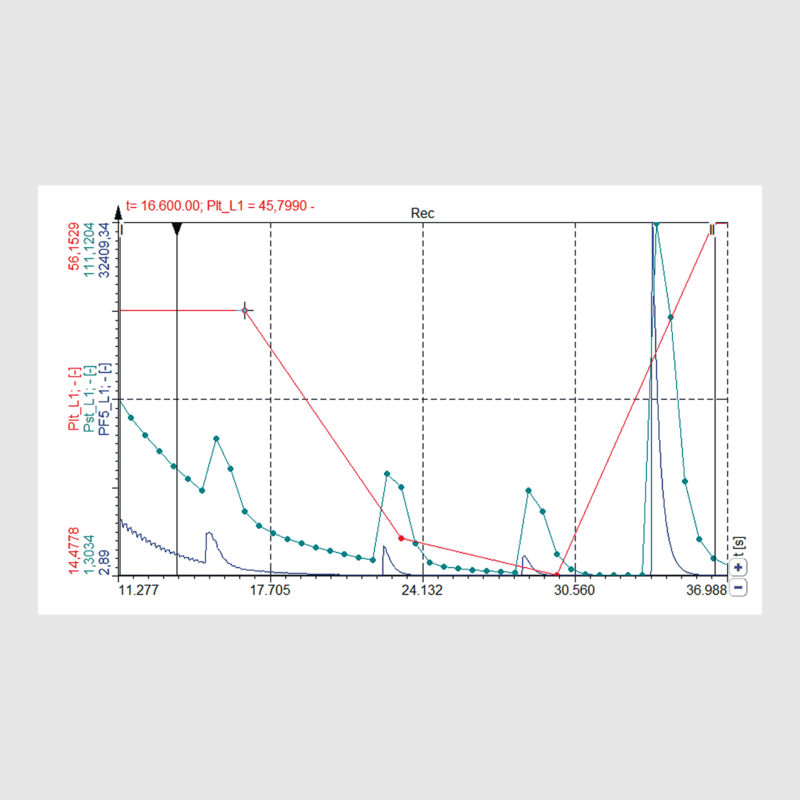 Measure all flicker parameters according to IEC 61000-4-15 standards. 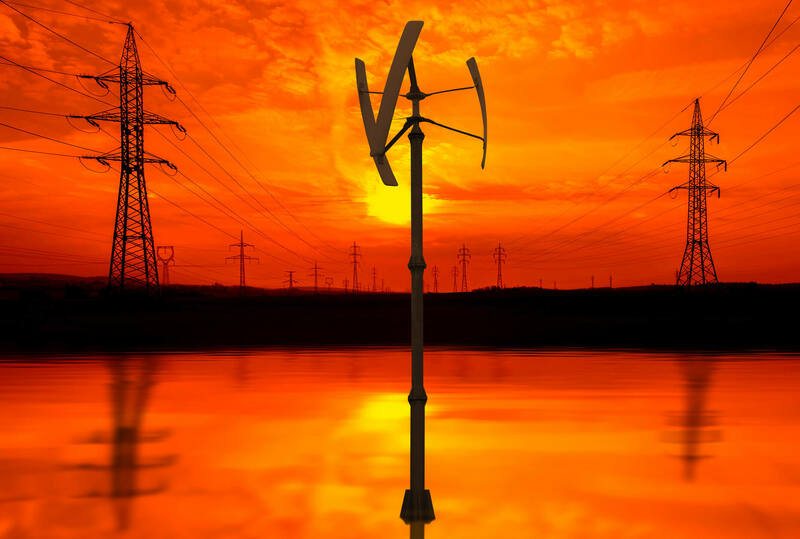 Flicker emission calculation according to IEC 61400-21 standards and allows the evaluation of flicker emission into the grid caused by wind power plants or other generation units. PST and PLT with flexible intervals. The Rapid Voltage Changes are parameters which are added as a supplement to the flicker standard. 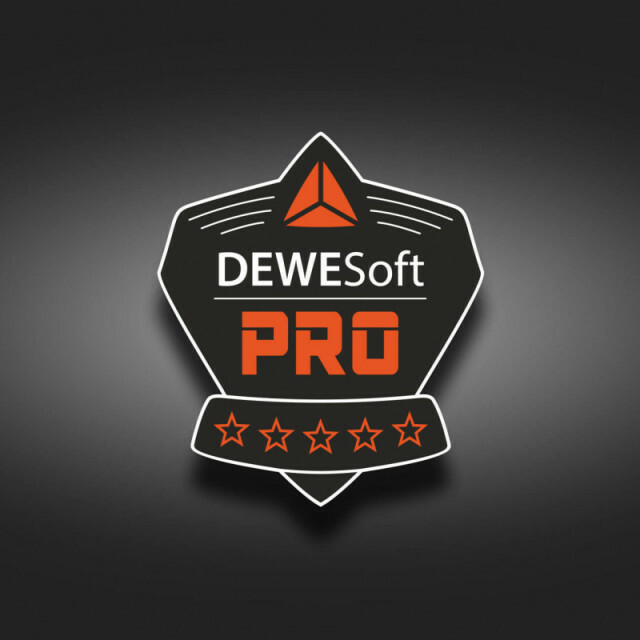 Dewesoft calculates the parameters according to IEC 61000-4-15 standards. Unbalance means that the voltages (U1, U2, U3) or/and currents (I1, I2, I3) of a 3-phase system are not equal. This happens due to phases which are loaded unevenly. To analyses the unbalance, the calculation method of the symmetrical components is used. 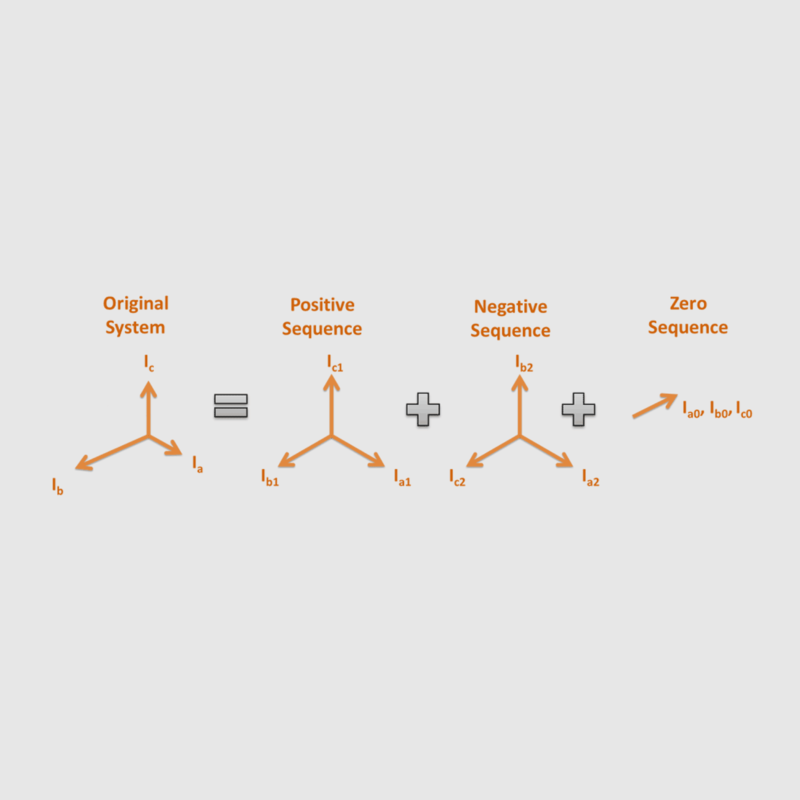 This method splits the original system in a positive system (rotation like original system), the negative system (rotation in reverse direction) and a zero system. This allows calculating a couple of parameters for voltage, current, active-, reactive- and apparent power unbalance. 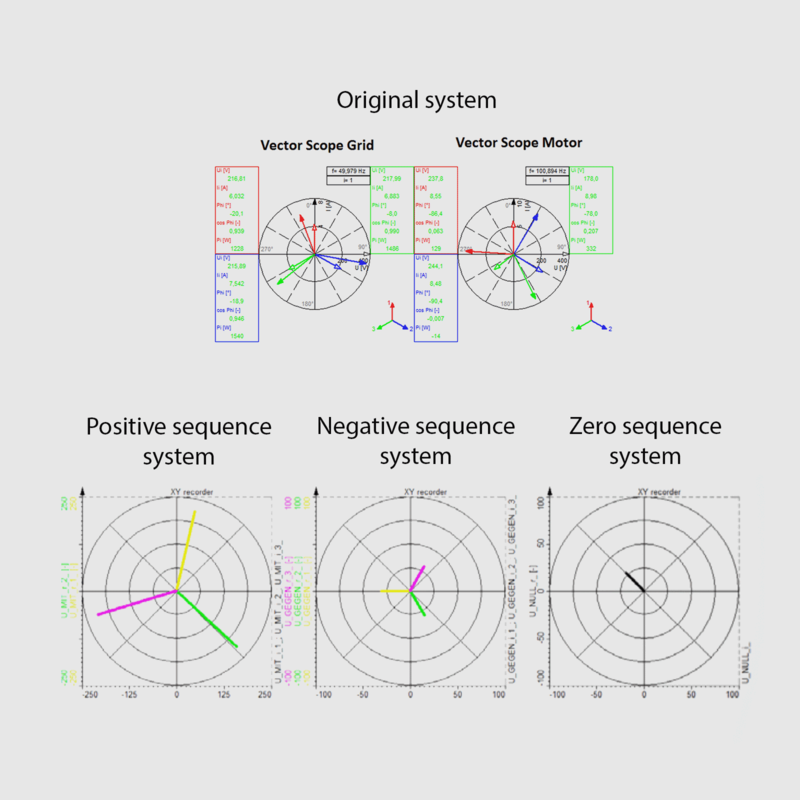 The Dewesoft power analyzer allows measuring more than 50 different parameters for comprehensive analysis of the unbalanced system condition. An unbalanced system condition can lead to currents in the neutral line, warming and decrease of efficiency of different electrical equipment and even increase harmonic currents. 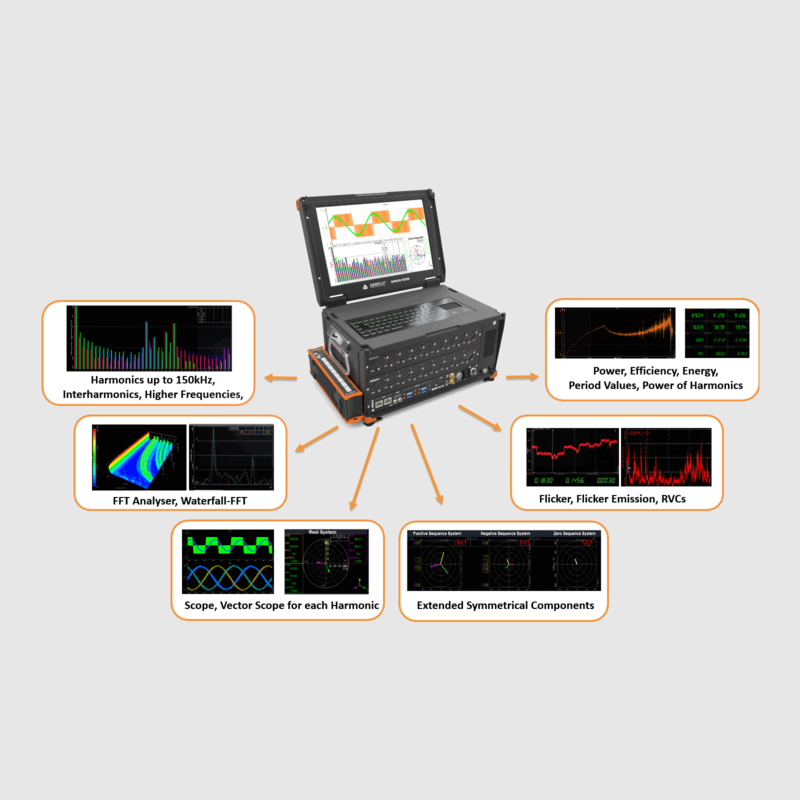 The Dewesoft Power Analyzer can be used for frequency monitoring and for testing the frequency behavior of power generation units at development (see renewable testing). High-frequency deviations in public grids can have severe consequences to the electrical grid. If the frequency drops or rises too much it’s even possible that the whole power system breaks down (Blackout). Frequency deviations are caused by the connection and disconnection of power plants or big loads. If the frequency is too high, there is too much power in the grid. If it is too low, there is too little power in the grid. Especially the trend towards more renewable power plants is causing more and more frequency deviations due to the abrupt disconnection and connection (PV, Wind) of generation units.